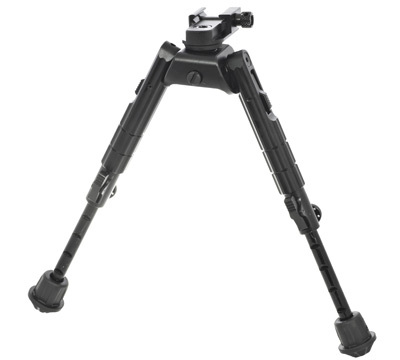 This heavy-duty bipod has a unique, tension adjustable base, with 360-degree panning and multi-axial tilting. It features bi-directional folding legs with five extendable, post-lock positions and non-slip rubberized foot pads for secure, convenient use on any terrain at varying angles. 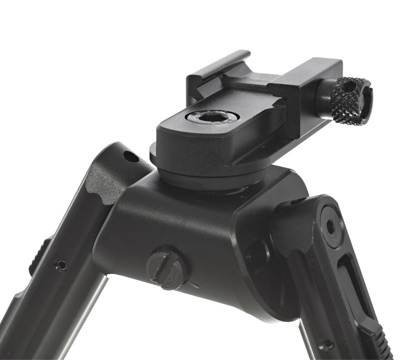 The base is made of a metal construction with a square steel cross bolt for superior hold on any picatinny rail and the innovative offset picatinny mounting deck frees up space normally used by the support hand during offhand shooting. 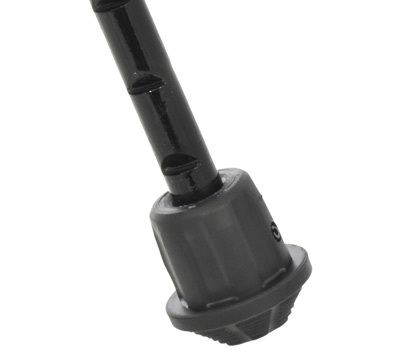 Comes with swivel stud kit for swivel stud mounting. 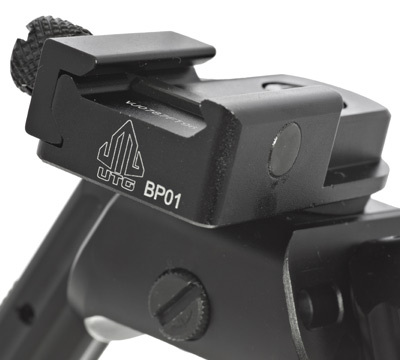 Fits firearms that accept bipods. 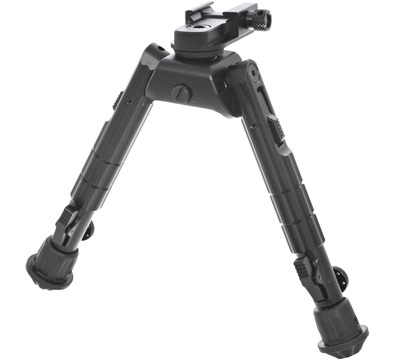 Center height adjustable from 6.7" to 9.1". Made in the USA by Leapers®, Inc. I ended up mounting this bipod on my POF .308 where it has seen yeoman duty. 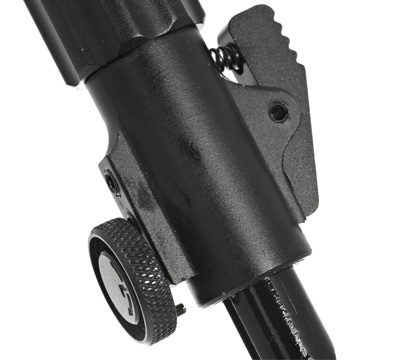 The Gen 1 handguard on the Ruger Precision Rifle is impossible to mount a bipod on reliably, when you put forward pressure on that round keymod mounting point inevitably the bipod comes loose. Ruger will sell you a new one for $250, thanks for nothing. Very nice product for the price as Ive looked at others I wasnt impressed with .